Categories: Pest Control, Pests, and Services. Do You Have a Rodent Infestation? Categories: Pest Control and Pests. Can a Black Widow Spider Bite Kill Your Dog? Ants – Superheroes of the Insect World! DID YOU KNOW Ants are capable of lifting 50 times their body weight with their mandibles. If you had muscles like an ant, you could lift a Hyundai over your head! To give you an idea of how strong ants are, let’s compare that to a real body builder. At the 1968 German Power-lifting Championships, Arnold Schwarzenegger (weighing 245 pounds) dead-lifted 682 pounds – about 3x his body weight. 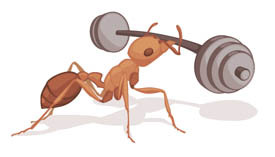 If an ant weight the same as Arnold, it would be able to lift 12,250 pounds! WOW! That’s not all. Ants hanging upside down can hold onto 100x their own body weight. New Homeowner SpecialOur best offer available, exclusively for new homeowners. Switcheroo OfferIf you have a current pest control company but you’re ready to upgrade. 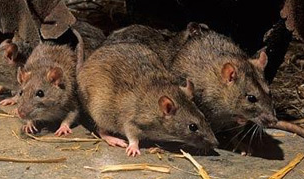 New Customer SpecialIf you’re new to pest control and want to start with our local, reliable family team, start here. Questions? Call Now, Olivia is Standing By! Or contact us online by clicking below.